Whether you’ve performed a clean install of Window 10 or upgraded to it from 7 or 8, you may have noticed the helpful little tips that pop up now and then. While for some these tips actually are helpful (after all, that is the purpose), they’re annoying once you’ve learned the basics. You can easily turn Windows 10 tips off if you’re done with them or they’re driving you crazy. Let’s look at how to turn off Windows 10 tips and start discovering your OS on your very own. In the beginning, especially if you’re not as computer savvy as you’d like to be, we recommend leaving Windows 10 tips off. There’s valuable information packed into some of the tips, including introducing you to functionality and feature you might not be aware of. 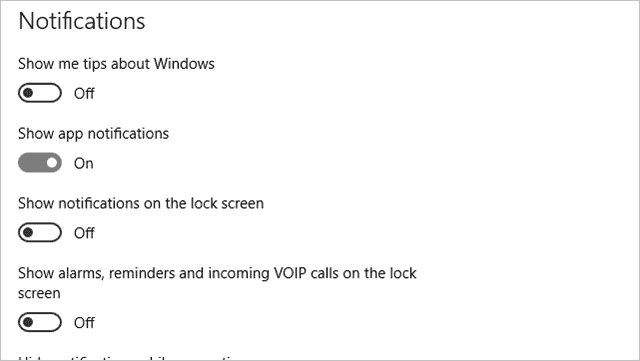 Windows 10 Tips are meant to be helpful and they look and feel a lot better than the similar feature in Windows 8 which seemed to be more about being invasive than it did about being helpful. While Windows tips, just like in Windows 8, are a good idea for some, for others they’re just plain annoying. While a new tip might pop up every now and again that shows you something new, by the time most tips get to you, chances are you already know how to do what Windows is telling you to do. Turning off Windows 10 tips is easy with these steps. 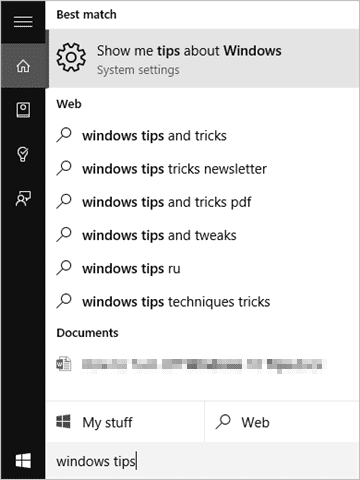 Either open the “Settings” app and search for “Windows Tips” or search for the latter in Cortana. This will turn off Windows 10 tips automatically. There’s no need to turn off your PC or restart to turn them off. 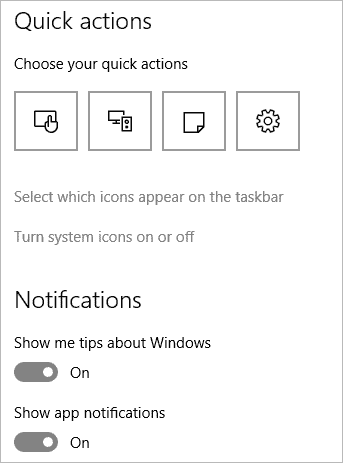 You can turn Windows 10 tips on again at any time by turning the slider on in the same place in the notification settings. If you’re on a Windows 10 Insider build, each update may turn Windows 10 tip back on as some users are reporting. You’ll need to check the setting each time you have a major update to ensure it’s turned off for the time being. Windows 10 tips are meant to help users get more comfortable and familiar with their OS. However, if they’re driving you nuts, you can always disable them. While it’s not clear if Microsoft will continue adding new tips as time goes on, for a new Windows 10 user, they can be helpful in some cases to guide you in the right direction. Consider using Windows 10 tips for a while, then turning them off to learn more about utilizing everything available in Windows 10.